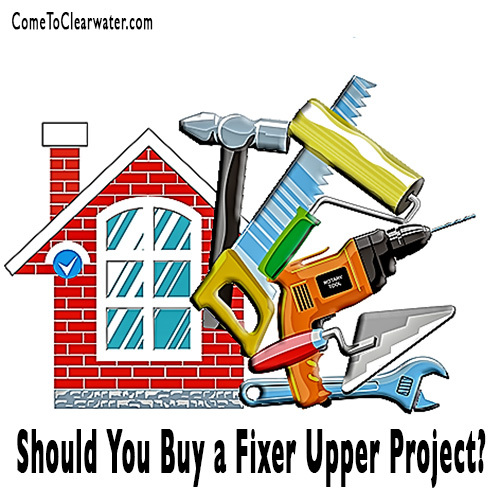 Should You Buy a Fixer Upper Project? Should you buy a fixer upper or project home? If you’ve ever watched any of the home improvement shows they make the idea of buying a “fixer-upper” look incredibly easy. Even the “problems” are minimized. Well, in real life a fixer-upper can be a nightmare if you don’t go into buying it with your eyes very wide open. Buying a project home or a fixer-upper as they are often called can be a great way to buy more home than your budget will allow. If you have a smaller budget and need more space, it could be the answer. What you need to keep in mind is that the lower up front cost isn’t the end. Fixing up the space can be expensive. There are two ways to handle the improvements that need to be made. First, you can hire a contractor to do the projects. Or, you can do it yourself. Either way, you should have a home inspection done so that you know what issues there may be with the home. The inspection will probably tell you issues, but don’t count on it telling you everything. Be an educated buyer and know what to look for as you tour the home. Is the wall crack just from settling or does it mean foundation issues? Does that water stain mean there was a leak or there is one? Rely on your Realtor too. They should know the difference between cosmetic issues and structural disasters. No matter whether you plan on having a contractor fix the fixes, or doing it yourself, you should have some basic home improvement skills. Painting, fixing drywall holes and a few other basics will be a time and money saver in the long run. Even with a contractor doing big projects, if you can paint, you can fix other rooms up yourself. Remember too, no matter if you do the work or pay someone else to do it, it will cost more money. Yes, those improvements add value to the home, but remember that it’s not money in your pocket until you sell the home. Be wise in the fixes you do, and enjoy the process. 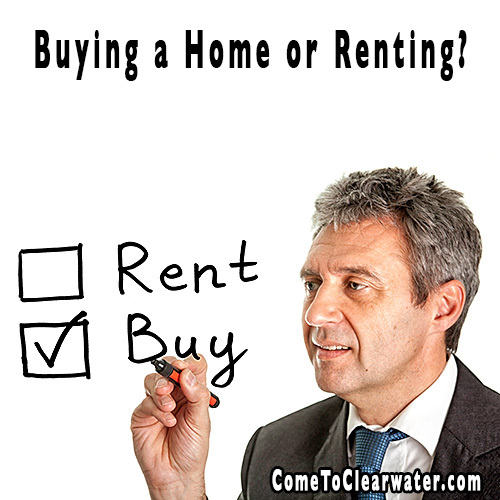 Buying a Home or Renting? Should I be buying a home or renting? Many people ask themselves this question everyday. For some, it depends on their lifestyle, but generally, for many buying a home becomes the better answer to the question. In order to help you figure out that answer for yourself, let’s look at this is from why people do each: buying a home and renting. Renting: Do you know you will have the same job over the next few years? Are you planning on staying in the area or moving? Can you find somewhere to rent that is less expensive than a mortgage payment? Do you prefer to let someone else do maintenance on your living space and have to wait for that maintenance appointment to be made by another person? Renting can be a plus. Generally there are lower up-front costs and more flexibility to move if necessary. The problem with renting, though, is you have no control over rent increases, your living space style, and you aren’t building any equity in the real estate property for you, and the landlord makes the rules. Buying: Are you planning on staying in the area you live in for more than a few years? Do you want to build a real estate investment? Do you want to be in control of your living space – changing paint or even where walls are, planning maintenance appointments on your schedule? Do you need tax deductions? When you buy, you own the property and all the equity it has. That means you can borrow against that equity to improve the property. It’s yours so you can make any changes to it that appeal to your own personal sense of style. Ownership also gives you tax deductions against your income tax burden for both mortgage interest and your real estate taxes. That is a huge savings. Although the economy is taking a long time to improve, in some areas real estate is again gaining value instead of losing value. You have to make the decision for yourself, but in the long run, buying a home is much better than renting a home. 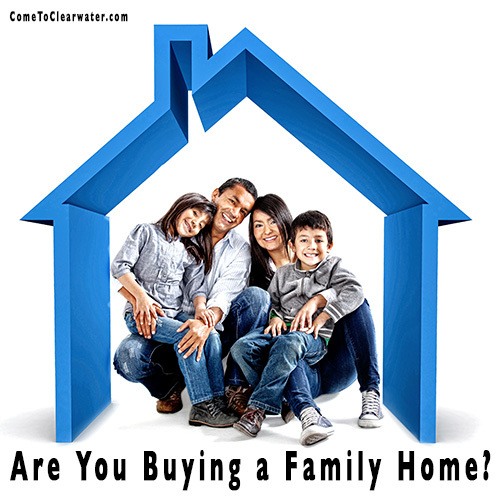 Are You Buying a Family Home? Are you buying a family home? Great! So how do you decide what home you should buy? That depends on where you are in your life. Much like what size home you need, what kind of home will depend on the questions that you should ask yourself, and also share with your Realtor. When you are buying a family home consider what kind of home you need. Well, where are you in life? How big is your family? Do you plan on having more kids? Are your children older and moving out for college or on their own? The answers to these questions will help you decide if you need more space or less. It might mean you need a single family home, or maybe a condo or small town home or duplex. Here are some considerations too: does one of your family members play a loud instrument? A multifamily type home may not be a good idea. Your lifestyle helps determine the type of home you need. Do you have elderly parents? Is it possible they will move in with you? You might want to look for a home with two master bedrooms, or a home with an in-law suite. This may also determine house type too. With elderly people in the mix, will you want a home with multiple floors, or a ranch style with no steps? Would a larger condo fit the bill so you can have a life with little maintenance and enough space for your whole family? What you need when buying a family home should be determined by where your family needs will take you in the foreseeable future. Be realistic about it. If you have high school aged children, will they be leaving to live at college? Is it likely they will be moving back home after college? Will your parents need supervised living that you will provide in your home? Don’t go into your home search with rose colored glasses on, be very realistic. Ask the hard questions and answer them honestly. So what kind of home do you need? Work with your Realtor and find out. Home Buyer: How Much Home Do You Need? Home Buyer: How much home do you need? It’s a question that you have to ask yourself when you decide that you want to buy a new home. If you are selling and buying a new one, do you need to upsize or downsize? If you’re a first time home buyer, it will determine what you are looking for. It’s one of the first questions that your Realtor will ask you. So, how do you decide? 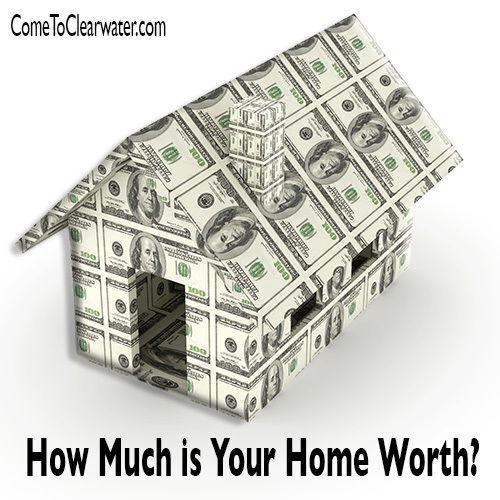 So how do you decide how much home you need? Ask yourself some questions. First, what size is your family? Are you a couple first starting out? Do you plan on having a child or more children? Do you want each child to have their own bedroom or will they share? Next question: what is your budget? That will certainly determine the type and size of home you can look at. Regardless of family size, if you have a small budget, you can’t afford a huge house in great shape. What square footage will it take to fit your lifestyle? Do you need a lot of storage? Do you have hobbies that will require a lot of square footage? 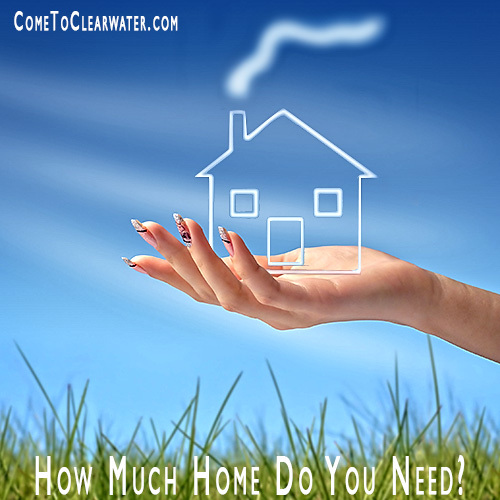 So how much home do you need? One thing to keep in mind is the difference between what you want and what you need. Asking yourself these questions can help you determine the difference. Of course we all want the biggest and best, but budgets can make that difficult or even impossible. However, there are ways to get what you need and make it into what you want. Discussing all these things with your Realtor will help him or her narrow the search down to exactly what you need, can afford and make it into your dream home. So home buyer, how much home do you need? Only you can answer that but with a Realtor’s help you can make a good decision.